Developmental Delay is when a child does not reach their developmental milestones at the expected times. 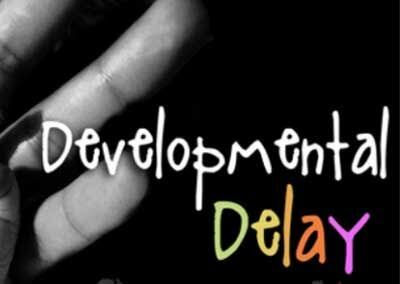 It is an ongoing major or minor delay in the process of development. If your child is temporarily lagging behind, that is not called developmental delay. Delay can occur in one or many areas for example, gross or fine motor, language, social, or thinking skills. The Canadian Task Force on Preventive Health Care (CTFPHC) recommends against screening for developmental delay using standardized tools in children aged one to four years with no apparent signs of developmental delay and whose parents and clinicians have no concerns about development (Strong recommendation, Low-quality evidence). This recommendation applies to children aged one to four years without recognized signs of possible developmental delay and whose parents or clinicians have no concerns about development. These are children whose age-appropriate developmental milestones have been sequentially acquired for gross and fine motor, social, emotional, language and cognitive domains. Milestone ages should be based on the oldest age by which the skill should have been achieved. This recommendation does not apply to children who present with signs, symptoms or parental concern that could indicate delayed development or whose development is being closely monitored because of identified risk factors, such as premature birth or low birth weight.